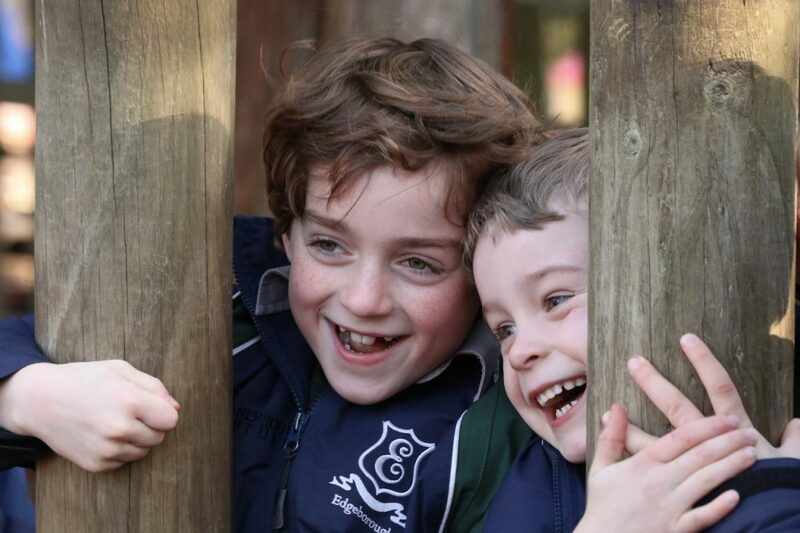 In the Edgeborough Pre Prep, children thrive as they experience an exciting and stimulating education in a supportive and nurturing environment. 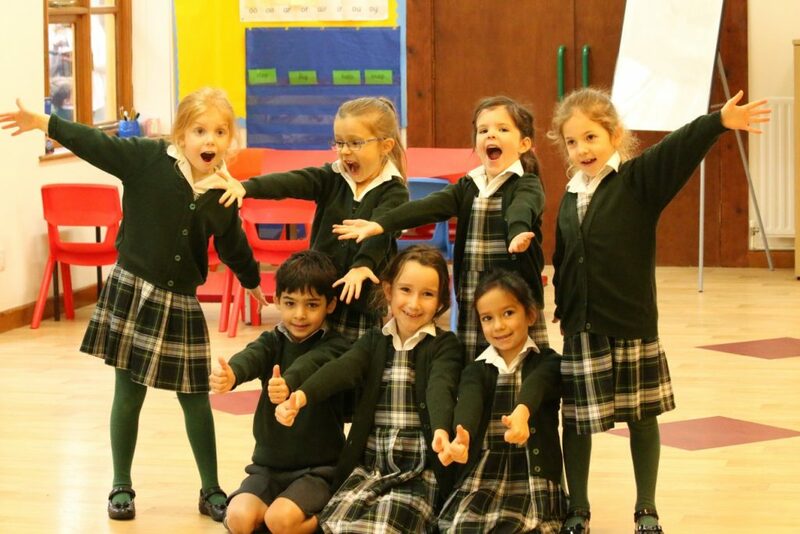 In the Pre Prep, small class sizes ensure strong, trusting relationships are built. Whilst we are very much a part of the whole school, we enjoy our own purpose-built classroom area where the children can explore, question and challenge themselves in the safety of their familiar surroundings. Our pupils enjoy a wide range of subjects allowing them to embark on an exciting learning journey right from their very first day in Reception. We place a strong emphasis on the development of literacy and numeracy. The Read Write Inc. scheme is continually achieving high standards and our practical approach to Mathematics sets secure foundations at an early age. The creative curriculum we offer allows pupils to study Science, PE, Art and Craft, French, Music, Computing and Humanities through exciting learning experiences and engaging topics. We enjoy using the specialist facilities of the Prep School, including the ICT suite, Science Laboratory, Music Suite, theatre and sports facilities. Take a comprehensive look at life in Pre Prep with the help of our latest newsletter. We encourage our pupils to open their minds and explore; we equip them to achieve and succeed. Our pupils arrive at school between 8.15 – 8.30am, in time to start the school day. On Monday mornings we start with an assembly led by a teacher which will follow a religious or moral theme. Wednesday mornings start with our ‘Singing Assembly’ and on Fridays we celebrate our achievements in our popular ‘Celebration Assembly’. This is when we announce each class’ Star of the Week and Golden Table Award, find the week’s winning House and celebrate birthdays. The first lessons of the day are usually the core subjects including Mathematics and English. Break times are greeted enthusiastically and children are given a healthy snack and a drink before going out to play in their large Pre Prep playground. There is a 20 minute break in the morning, 30 minutes after lunch and 10 minutes in the mid-afternoon; teachers and teaching assistants supervise the playground. Pre Prep children have lunch at midday in the Prep School Dining Hall. Children and teachers sit and eat together and enjoy family style dining, encouraging good manners and a healthy appetite! 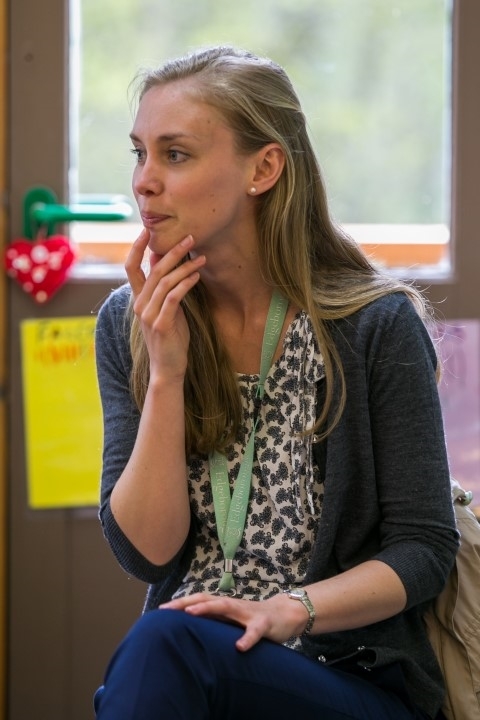 In the afternoons, our lessons place a greater focus on the wider, creative curriculum. The school day ends at 3:20pm for Reception, 3:25pm for Year 1 and 3:30pm for Year 2. Throughout the year we hold exciting events in the Pre Prep, such as themed days (Dahlicious Day, European Day of Languages, Egyptian Day, World Book Day…), class assemblies, drama workshops and our annual Nativity. The children go on school trips each term to support their learning. Recent popular trips have included Portsmouth Dockyards, The Living Rainforest, Winchester Science Centre, The Lookout Centre, Wisley Gardens, Pizza Express, Farnham Castle and local museums. Our pupils enjoy a wide range of subjects allowing them to embark on an exciting learning journey as they progress through the School. Teachers and teaching assistants work together to support and challenge every child.We place a strong emphasis on the development of literacy and numeracy. 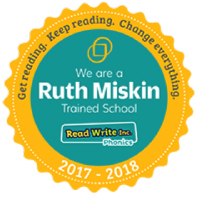 Edgeborough children follow the phonics based Read Write Inc. programme which teaches the essential skills of reading and writing. This is enhanced by exciting creative writing opportunities, regular 1 to 1 reading and spelling, comprehension and grammar focus sessions. In lessons we place a strong emphasis on pupil talk, encouraging children to share, build and contribute ideas with partners and groups to help develop their writing and confidence. In Mathematics we adopt a practical approach to build strong foundations. We have a wide range of resources which the children use to build their understanding through concrete methods before moving to pictorial and abstract tasks when the children are more confident. We encourage talk and reasoning, asking children to explain their methods or answers to a partner and discuss ideas together. We often work in pairs and the children are encouraged to question. Lessons incorporate mental skills, problem solving, reasoning challenges and interactive games amongst other activities and tasks. Mathematics is always exciting! In Science, we do lots of practical experiments, developing inquisitive minds and scientific skills. Reception and Year 1 have their Science lessons in their classrooms, whilst Year 2 use the specialist Science Lab in the Prep School where they can carry out investigations. Humanities are taught through our creative Topic curriculum, which combines History, Geography, Religious Studies, Art, DT and ICT. Year 1 and 2 have a two-year cycle which offers great opportunities for sharing and cross-curricular events. School trips are also often based around our topics to bring learning to life. We have spent time creating a curriculum which is exciting and stimulating, nurturing a love of learning amongst our pupils as they develop their understanding and learn new skills. Journey into the world of pharaohs, pyramids and ancient gods. Can you walk like an Egyptian for our dress up day? Discover more about life from the Stone Age to the Iron Age, changes and inventions which have shaped our lives. Learn about the history of our capital city with an investigation of famous Londoners, landmarks and art. Reenact the Great Fire of London and try to avoid the Plague! A colourful celebration of geography, nature, festivals and cultures, with a special Chinese New Year celebration day. Trace the adventures of explorers and discover more about our oceans, with a visit to Portsmouth Dockyards. Beware of the pirates! Explore food, from ‘Bean to Bar’, discover the wonders of the rainforest and learn about the amazing adaptations of plants and animals. PE and French are taught by specialist teachers in the Pre Prep, as is Music in Year 2 when all the children are taught to play the Violin and Recorder, alongside the musical theory, rhythm, percussion and singing which are taught from Reception. The sports taught in PE change each term and include swimming, gymnastics, dance, athletics and team sports such as football, netball, hockey, cricket and rounders. We follow a Computing scheme which includes programming, photography, research and data collection, amongst other topics, and teach ICT skills alongside this. The children also enjoy visiting our Pre Prep Library each week to choose a new book to take home. Fortnightly, all children participate in our Woodland Activities programme which provides opportunities for hands-on learning in the outdoors. It helps children develop confidence and self-esteem as they are able to make their own choices and take risks in a safe environment, work cooperatively, be creative and develop positive relationships with themselves, other people and the natural environment. Our teachers ensure that every child has the best opportunities to experience success as they move up through the School. Outdoor learning and play has a hugely positive impact on children’s development. Through outdoor play at Edgeborough, children learn to work together, problem solve and persevere with challenges. They develop communication and language skills as they explain their ideas and listen to others. 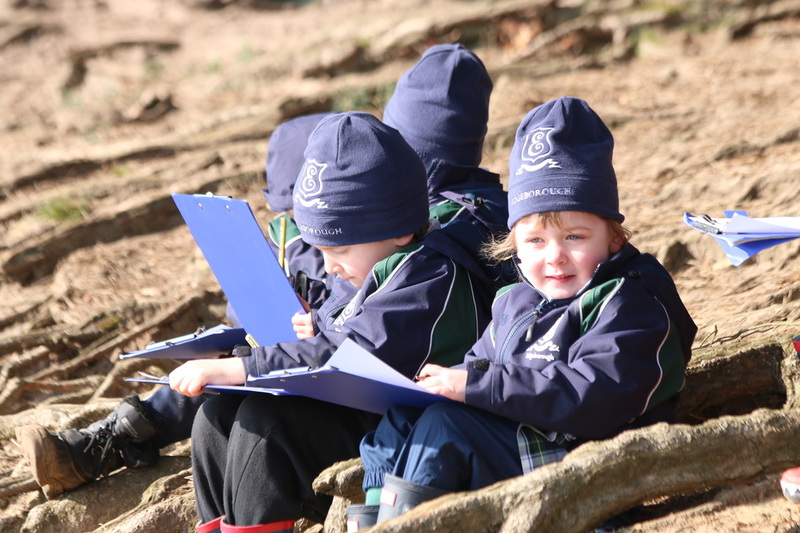 At Edgeborough Pre Prep, our children develop a love and appreciation of the outdoors. We embrace opportunities to take our learning outside and have developed our Woodland Activities programme to enhance play with hands-on learning. We also hold an annual Woodland Activities Day, a whole day dedicated to the outdoors! 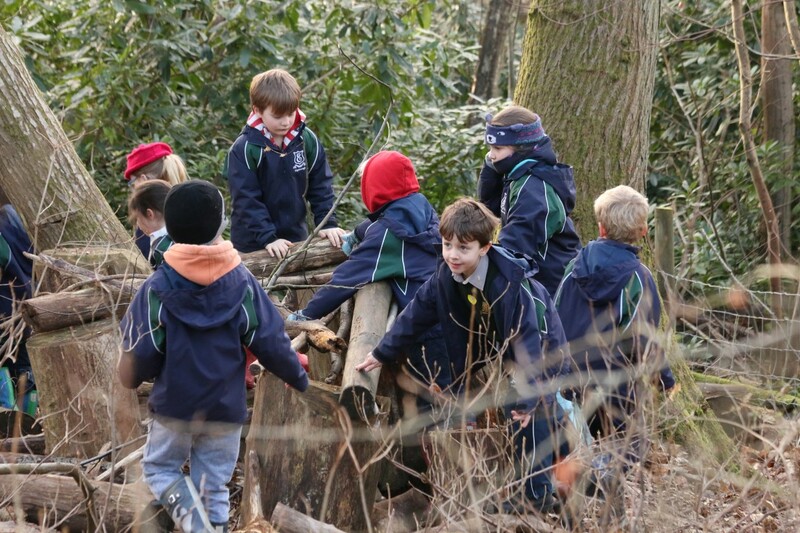 Once a fortnight, each class spends an afternoon out in the Edgeborough woodland. The sessions are given a theme or aim by the lead teacher, but the children are encouraged to bring their own ideas and tailor their experiences. Sessions might include natural craft, den building, outdoor cooking or nature trails, and often they can be linked with Topic themes. The freedom of the natural environment helps children develop self-esteem, be creative, make their own choices and take risks. Learning in the outdoors encourages independence in our pupils, allowing them to be who they want to be, creating confident individuals. Importantly, the children have fun and cannot wait for their next Woodland Activities session! A popular extension to the school day is Breakfast Club, available from 7.50am every day. This gives our pupils an opportunity to enjoy a cooked or continental style breakfast. 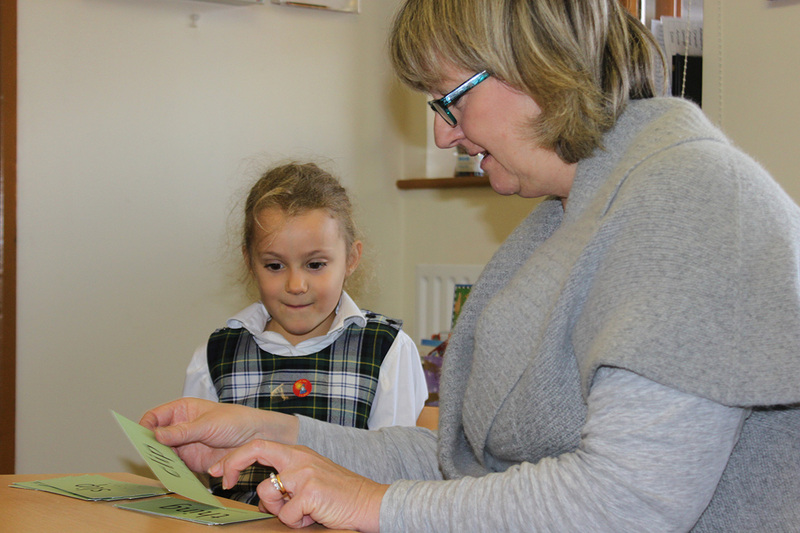 After school care in the Pre Prep is provided by Hawkes Club, which runs from 3.30pm to 5.50pm daily. There are also after-school clubs on offer where the children can challenge themselves by taking part in the wide variety of activities on offer. ‘Monday Clubs’ run by class teachers run from 3:30-4:30pm for Years 1 and 2 and details of the clubs on offer are provided at the start of each term. They often include Art, Construction, Sports, Computing and Board Games. 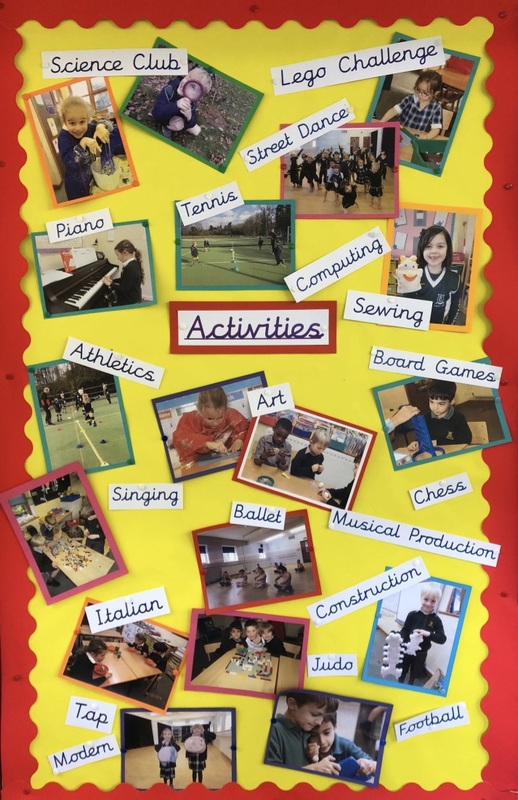 There are a range of lunchtime and after school clubs throughout the week including tennis, judo, ballet, tap, street dance, musical production, football, athletics and netball clubs. At Edgeborough, we have a strong sense of community where children, teachers and parents are respectful and supportive of each other. In the Pre Prep, we share our School Commitment in age-appropriate language. Each week we have a ‘Theme of the Week’ which is shared across the whole school and children work towards demonstrating that theme throughout the week. The class teacher plays a key role in the pastoral care of the children in their class, and this is overseen by the head of department. The teacher can also draw on the support of the School Listener and the Head of PSHE. Circle Time takes place within PSHE lessons. Children feel safe and are respectful of other people’s feelings as we discuss different aspects, including friendships, being healthy, staying safe and our environment. We help the children learn how to make friends and play together. Teachers and teaching assistants monitor play times. We have a wonderful playground area with different games for the children to enjoy. The main equipment is placed on a rotation between each year group so that everyone gets a chance to play. We believe in rewarding good behaviour. Rewards take the form of: House Points, which are collected as a House in each class for good work, effort and behaviour; WOW stars which are awarded in assembly for exceptional effort or achievements; the ‘Star of the Week’ for each class, and Golden Table lunchtime awards. In the Pre Prep we have four houses: Red, Blue, Yellow and Green. Siblings are placed in the same house. The children collect points and there is a winning House each week, and an overall winner each term. We have been awarded the Ruth Miskin Accreditation Award. It recognises the commitment we make to teaching Read Write Inc. with fidelity and passion, rapidly raising standards in reading and writing. It is awarded to schools that ensure all their children learn to read confidently and have a real love of books. We know what it takes to make reading and writing pleasurable and rewarding for our children. We are thrilled as we are one of just seven schools in the area, and the only independent school, to be given this award! At the start of each year, we hold workshops for parents to help you understand how to best support and encourage your child at home.